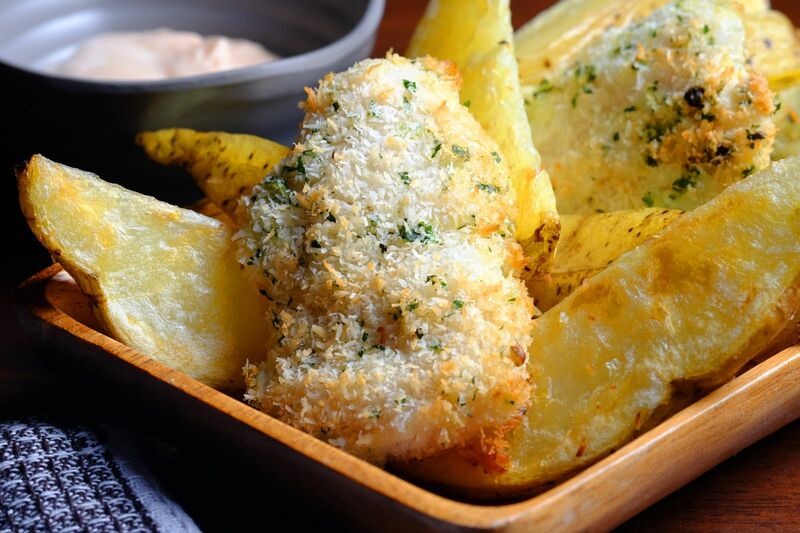 Not that we need an excuse to eat this delicious dish but National Fish and Chip day is as good as any. 1.Parboil the potatoes for 5 minutes in salted water. Drain and pat dry with paper towels. 2.Transfer potatoes to a bowl. Toss well with olive oil and season with salt. 3.Mix lemon juice and turmeric powder in a small bowl. 4.In a separate bowl, combine desiccated coconut, chopped (coriander) cilantro, and black pepper.